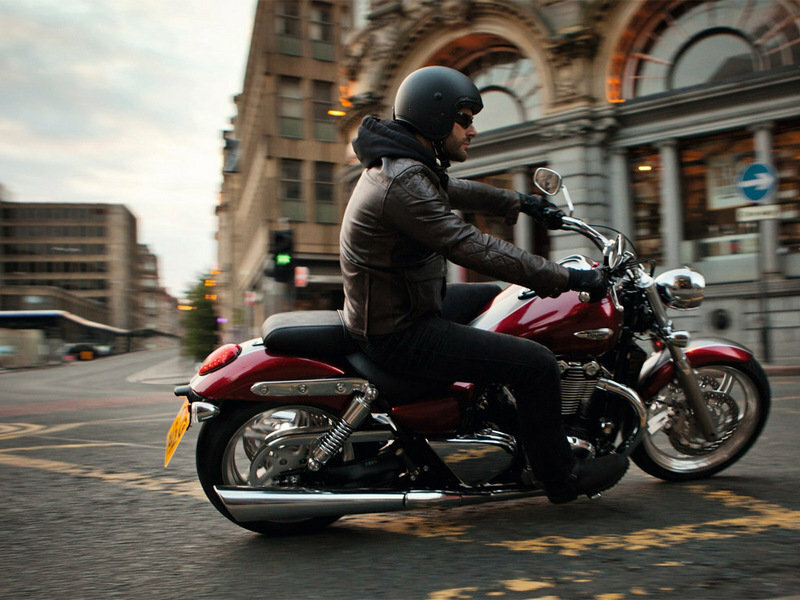 Laid back and relaxed, the Thunderbird is exactly the way a cruiser should be. But, on top of that, Triumph engineering has added superior performance and handling without ever diluting what the Thunderbird is all about. The engine itself is unique in its class, a classic Triumph parallel twin. And the styling is pure cruiser with sweeping lines, low seat and high bars. But like any Triumph it’s highly practical too, and perfectly feasible as an everyday commuter. A long, low, fat-tyred, chromed up, everyday commuter. 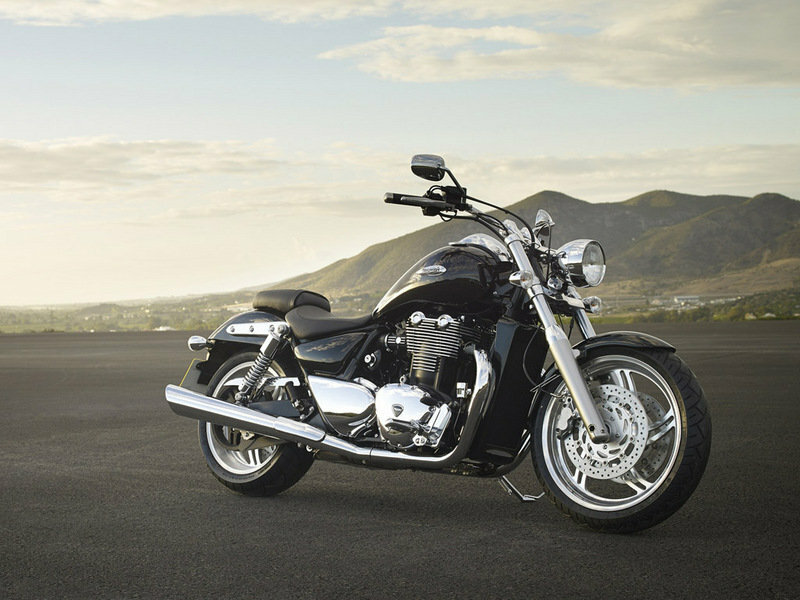 Continue reading for more information on the Triumph Thunderbird. •	Distinctive 1597cc, belt drive, parallel twin engine delivering 146Nm of torque at just 2750rpm. Triumph made sure that the Thunderbird’s authentic classic style lives on. With a long, low stance, fat rear tyre, teardrop tank and high bars. By keeping it pure, uncluttered, clean and elegant, with plenty of chrome, it still looks exactly how a cruiser should look. 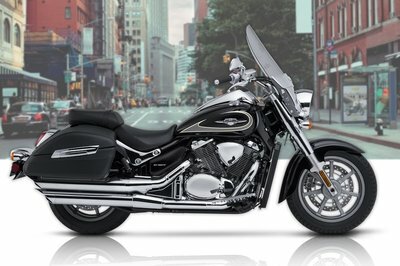 The Thunderbird’s handsome engine is large enough to dominate the bikes appearance, with a sophisticated black finish contrasting with its chromed covers. Fat exhaust pipes and machined cooling fin edges add to the style, which continues even on the fuel injection throttle bodies. The instruments are set into a tank-mounted chromed pod, leaving the top yoke area lean to show off the array of polished aluminium and chrome, so it looks as great to you as it does to the people watching it pass by. 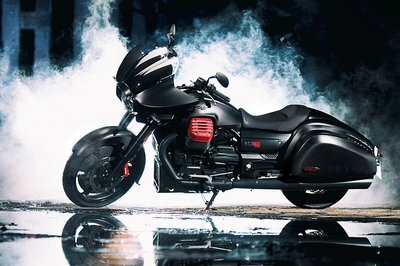 The Thunderbird’s 1597cc parallel twin engine kicks out a muscular 86PS and a thumping 146Nm of torque at just 2750rpm. Full of modern engineering, Triumph added double overhead camshafts and a crankshaft with 270 degree firing intervals, to give you an engine with authentic cruiser character. Whilst the fuelling is looked after by a sequential fuel injection system and progressive throttle linkage which ensures the engine delivers its torque exactly the way you expect. The transmission uses a six-speed gearbox with a tall top ratio for relaxed highway cruising and exceptional fuel efficiency. 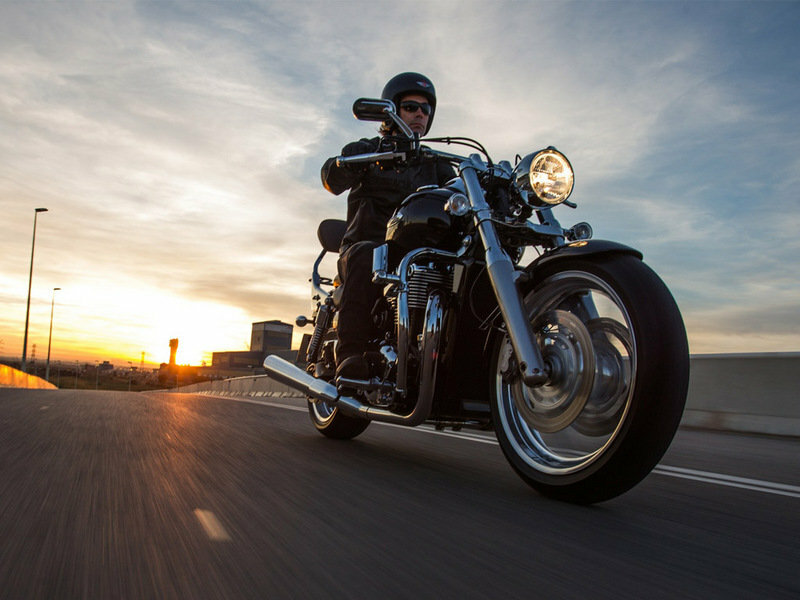 Triumph has incorporated high tech materials in the belt and pulleys so you get a drive with an exceptionally long life even compared with other modern bikes. And almost zero maintenance requirements. It’s also smooth, quiet and helps keep the rear of the bike clean. 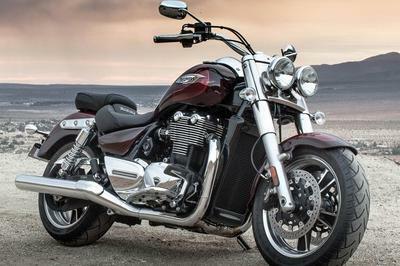 Triumph gave the Thunderbird a twin spine steel frame that’s exceptionally stiff. Coupled with well-dampened suspension this gives you a plush ride and exceptionally stable, easy handling for a bike in this class. With their 47mm diameter and 120mm of travel, the forks are carefully matched by Triumph suspension specialists to the pair of chromed rear shocks. And, their 5-position adjustable spring preload allows you to adjust them to suit the way you want to ride. Triumph made sure that the brakes are well up to the Thunderbird’s wide range of capabilities. A pair of four-piston callipers up front provide sufficient power to cope with a fully loaded bike, high speeds and mountainous terrain. You’ll find they offer loads of feedback too. 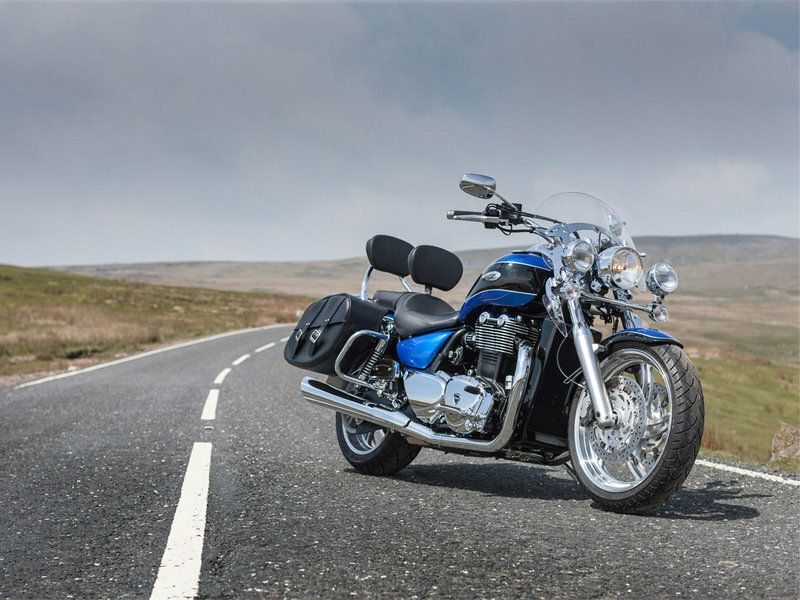 The Thunderbird gets handsome, five spoke cast alloy wheels, fitted with Metzeler tyres. 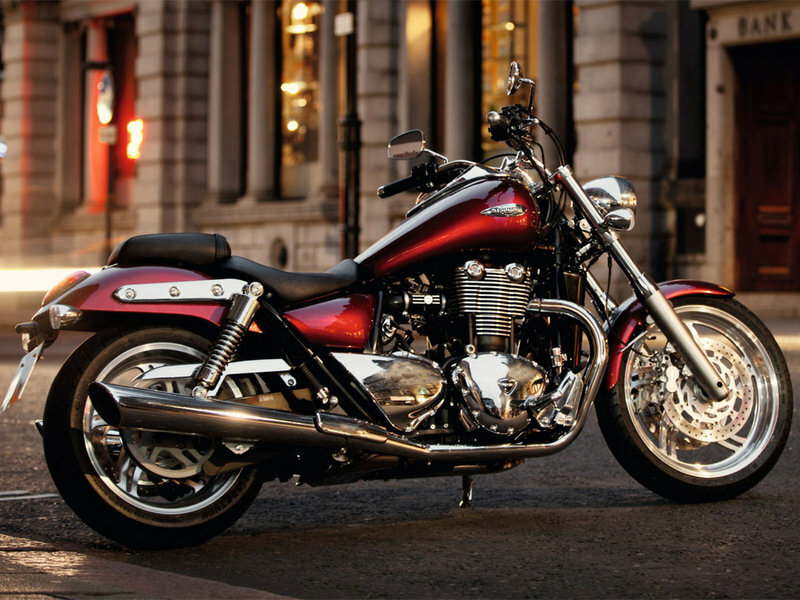 Triumph built the Thunderbird to give cruiser riders a bike that handles as well as it looks. That’s why it steers so well, especially at low speeds despite the forks being raked out at a cool-looking 32 degrees. The Thunderbird is surprisingly agile too with enough ground clearance for decent lean angles and an engaging ride when the road gets interesting. The seat is very low at just 700mm and the cruising position is relaxed and spacious, with the footrests positioned forward to keep you comfortable without being too much of a stretch. The low seat also means that it’s easy to plant both feet firmly on the ground. So no matter what your height is, you can confidently manoeuvre even at low speeds. As you’d expect, the bars are pulled back and wide, so the grips are exactly where you want them. Giving you a relaxed stance and the high levels of control you want on a bike of this size. Triumph know you might spend a lot of time on your Thunderbird so Triumph has included high levels of equipment. An on-board computer in the tank-mounted instrument pod which includes a clock, range to empty, twin trip meters and a fuel gauge. As well as a neat, compact rev counter and electronic self cancelling indicators. Everything’s right where you need it. On a big bike like this Triumph were able to fit a 22 litre tank. 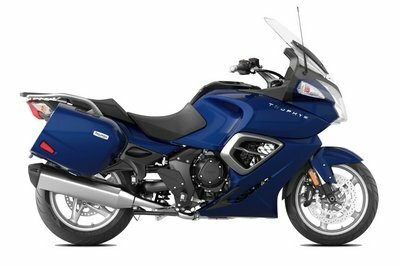 So, along with the high efficiency engine, the Thunderbird has an exceptional fuel range, at 56mph the Thunderbird will give you more than 67mpg. In fact, it’s easily capable of more than 200 miles between refuelling stops. Triumph fit ABS to the Thunderbird as standard. So it never loses it’s cool. 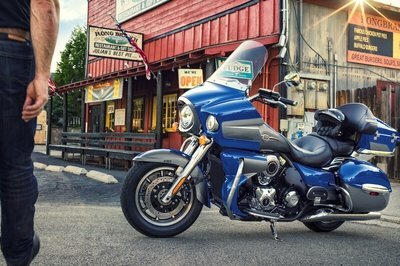 Voted ’Cruiser of the Year’ by Cycle World magazine in the USA. To add a touch of Luxury for you passenger, add the Chromeline Passenger Footboard Kit for increased comfort. Available in Chromeline or Classic and requires the Passenger Footboard Hardware Kit. Packing for a longer journey? The Chrome Luggage Rack provides you with an extra storage option with a carrying capacity of 5kg. Made from high quality tubular steel with a chrome plated finish. For when it’s just you and the road ahead, combine the Engine Dresser Bars featuring a high quality finish with the Chromeline Highway Pegs for a true Cruiser experience. The high gloss, hand polished Chrome Caliper Covers featured laser etched Triumph Branding providing a neat and tidy finish to the front wheel. The essential cruiser accessory, the Leather Panniers have a combined carrying capacity of 42 litres. 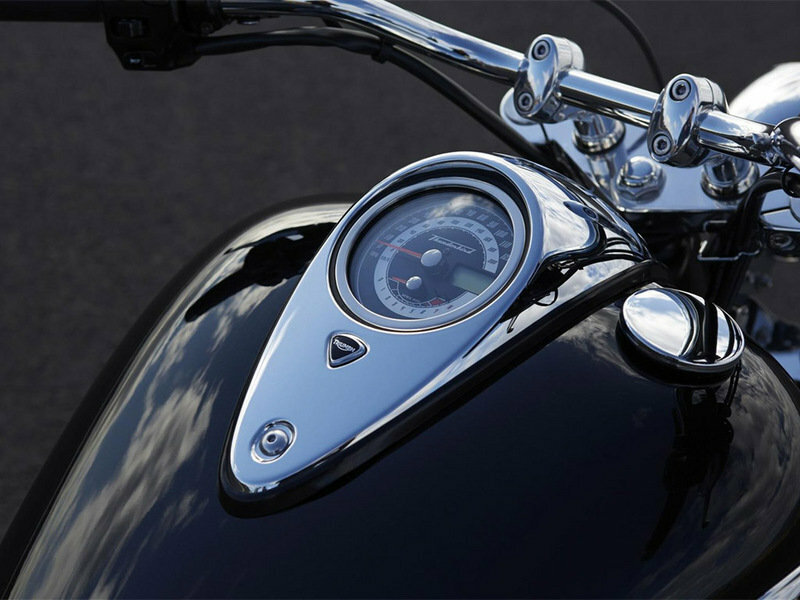 Triumph Branded buckles with hidden snap clips enhance ease of use while maintaining the classic look of the panniers. Requires the Pannier Mounting Kit for fitment. Complete the Dresser Bar set with the Rear Engine Dresser Bars featuring a high gloss chrome finish. Combine the Longhaul Touring Seat Dual and Rider Backrest to experience complete comfort for those longer days on the road. Features premium Sky renna Fabric and distinctive detail on both items, the rider seat has never looked more appealing. For premium comfort in addition to the previous accessory combination, the Quick Release Passenger Backrest Bar and Longhaul Passenger Backrest Pad together will enhance your passengers comfort and experience. The Thunderbird carries 6,000 mile (10,000km) service intervals.